Real Energy Corporation (ASX: RLE) informed the market on Monday morning that it is now witnessing a stronger and faster build-up of pressure and more gas flowing to surface from the Tamarama-1 well. As can be seen in the video, what management described as the best flare witnessed at Tamarama-1 to date is impressive. Estimated cumulative gas and fluid recovery to date at Tamarama-1 is 85 mmscf of gas and over 13,500 barrels of fluids. These are mainly frac fluids with additional water volume being interpreted to come from the coal seam into beds within the Toolachee and Upper Patchawarra formations sections. While this is promising news for the Tamarama-1 well in its own right, it is also significant in terms of RLE’s strategy of commercialising its Windorah Gas Project which has estimated total mean gas in place of 13.76 TCF. From a broader perspective, RLE controls nearly 5000 square kilometres of highly prospective territory in the Cooper Basin. The company has established a maiden 3C gas resource of 672 billion cubic feet from two discoveries, being Tamarama-1 and Queenscliff-1. While RLE’s current resource is yet to be contracted, there is strong interest from gas buyers, prompting the company to continue to pursue a low risk/high return Basin-centred gas play rather than taking the riskier road in targeting shale prospects. It is also worth noting that Windorah is shallower than some of the surrounding troughs, a feature which should assist RLE in developing a comparatively low cost project. The fact that all acreage is close to infrastructure also works in the company’s favour. Given ongoing exploration results and RLE’s successful negotiation of a Memorandum of Understanding (MOU) with Santos it could be argued that management’s increasing confidence regarding the commercialisation of the broader Windorah Gas Project is well-founded. 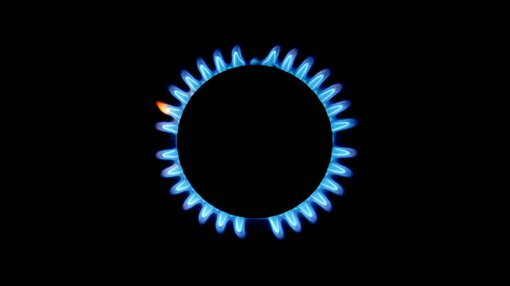 Further positive news was reported regarding gas sales into the domestic market with Managing Director, Scott Brown saying today, “Gas sales agreements are likely as we begin the commercialisation of the Windorah Gas Project, and our company hopes to be a key part of the broader gas supply solution that delivers certainty and dependable energy supply to Australian industry”. Brown said that he expected to provide an update on gas sales agreements in the near term, a potential share price catalyst for a stock that brokers see as undervalued. Given RLE is debt free with $6 million in cash, producing assets, an important MOU with Santos and the prospect of near-term domestic offtake agreements, its enterprise value of $14 million (market capitalisation: $20 million) appears well below fair value. Analysts at Hunter Capital Advisors have a high opinion of RLE. The broker’s current valuation of 16 cents per share represents a premium of more than 80% to this morning’s opening price of 8.7 cents. However, it appears that investors have been buoyed by today’s news with its shares increasing more than 5% in the first half hour of trading. This could be the start of a more substantial rerating if Hunter Capital is on the mark. The broker initiated coverage of the stock in May, saying, “As the company matures its 2C resource into reserves, we believe the stock will rerate with its valuation increasing to 52 cents per share on a 50% risk weighting”. The broker is also of the view that there could be significant upside from this point if the company matures its current 3C resource of 672 billion cubic feet to reserves. Hunter Capital currently values the 3C resource at 38 cents per share. According to Hunter Capital, the timing of RLE’s transitioning from exploration to development and distribution is fortuitous. The broker recently noted that gas-powered generation (GPG) is vital to continued security of electricity supply as the National Electricity Market (NEM) transitions to lower emission targets. It highlighted that a reliable supply of gas for GPG is critical at a time when withdrawal of coal-fired generation in the NEM is increasing reliance on GPG to maintain reliable and secure electricity supply and meet emissions target reductions. To meet electricity supply needs, Hunter Capital said the NEM requires either increases in gas production to fuel GPG, or a rapid implementation of alternative non-gas electricity generation sources. 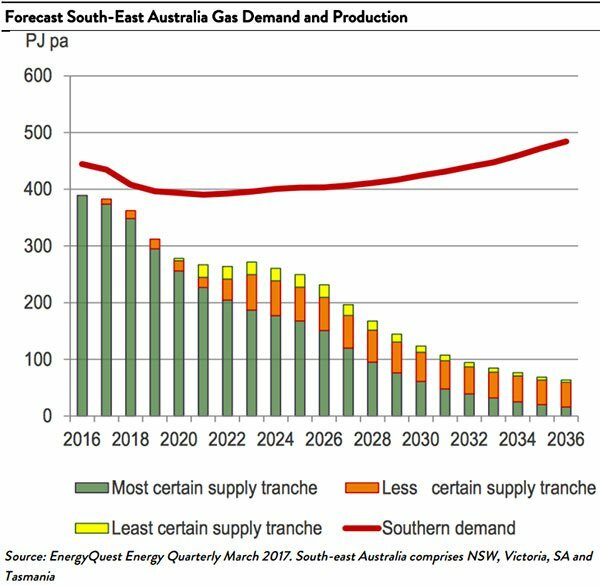 The broker highlighted that if neither occurs, the Australian Energy Market Operator (AEMO) projects that declining gas supplies could result in electricity supply shortfalls between 2019 and 2021 of approximately 80 gigawatt hours (GWh) to 363 GWh across South Australia, New South Wales, and Victoria. The following chart highlights supply demand dynamics out to 2036, taking into account both certain supply and prospective supply with the demand curve and the ever increasing gap painting a promising picture for RLE.